In the summer of 1965, which, to me, was the first of my sixteen spiritual summers, I was in Bangalore once to visit a friend. 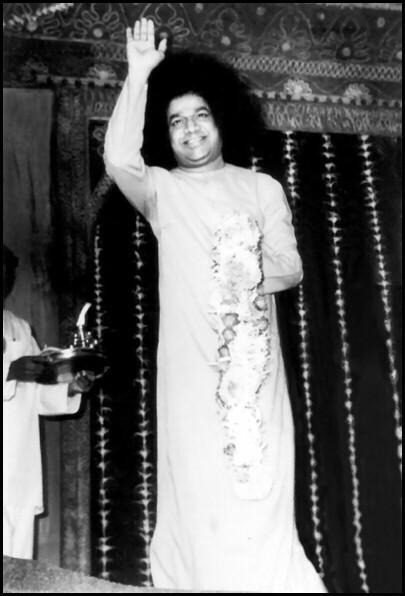 During an informal conversation one morning, my host asked me whether I would like to see Sri Sathya Sai Baba, who was to address a meeting at Malleswaram, in the heart of Bangalore city, the same evening. 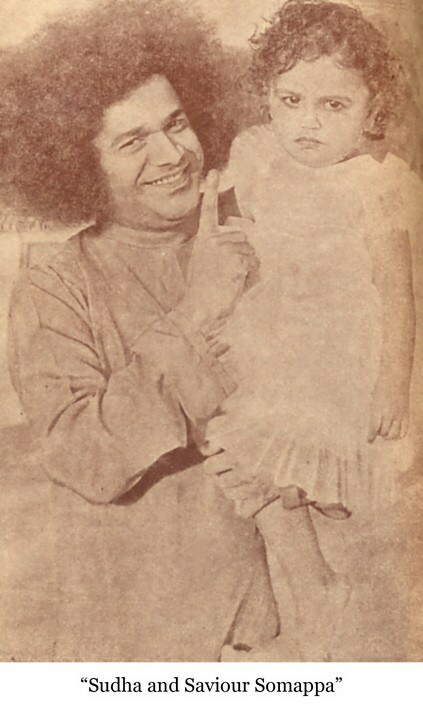 I had heard about Sri Sathya Sai Baba and also read about Him in some Bombay newspapers, but had never seen Him before. I had, till then, no particular urge to read either His biography or discourses. My immediate response to the question from my host, therefore, was somewhat casual and uncertain. However, on second thoughts, I felt that I should attend the meeting and so, later in the day, accompanied by my wife, Sarla, I went to Malleswaram where a mammoth gathering was listening to Baba with rapt attention. We sat in a remote corner of the big maidan (ground). I was swayed by a nameless feeling, a strange inquisitiveness or curiosity, as though I was adventuring into the unknown. Then suddenly, the sky became rather dark with thick clouds fast gathering overhead. The large crowd became visibly restless, as people feared an impending rain. We ourselves were in a quandary and my host hastened to take us back to his car. Just then, we saw Sri Sathya Sai Baba raising His hand and saying something aloud to the crowd in the local South Indian language which, however, I could not grasp. My friend said that He was asking the crowd to sit down and that He was assuring them that it would not rain. As He said this, we saw that the rain clouds started disappearing and the gathering darkness was giving way to bright sunshine. I remained spell-bound! I could not believe that anyone could disperse moisture-laden heavy clouds by a mere wave of the hand. And yet, our eyes were a witness to this strange phenomenon, the likes of which I had read about only in Puranic (Hindu legends) stories. Reference: “Sixteen Spiritual Summers” by Sri Indulal Shah. Page: 1-2. 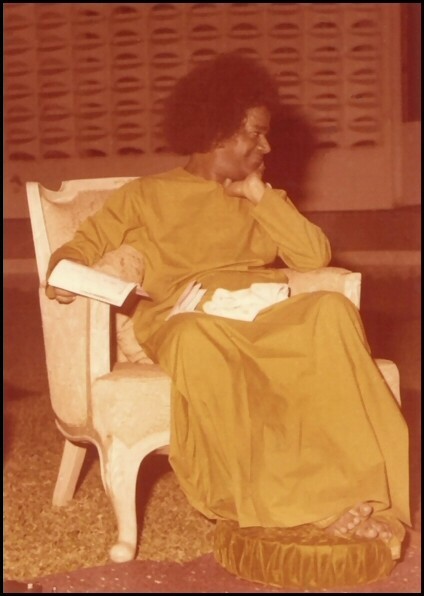 Published by Sri Sathya Sai Books and Publications Trust, Prasanthi Nilayam in 1980. Divine alchemy is used only on rare occasions under particular circumstances -as when Jesus turned water to wine at Cana in Galilee, and Moses turned the waters of the Nile to blood in Egypt. 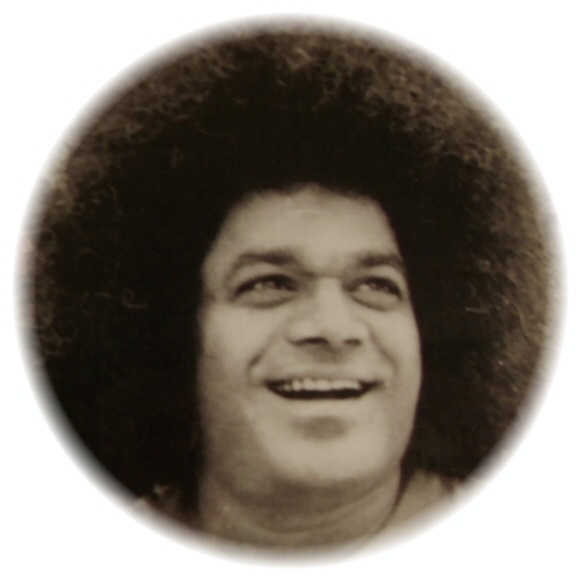 An old Sai devotee told me that, just after World War II, he was in a car with Sathya Sai Baba and others driving through the countryside. They were on their way to an important religious festival, and did not want to be late. Suddenly, in the middle of nowhere, their car ran out of petrol. One of the passengers, who knew the district, thought that there was a service station about three miles up the road, but, as petrol was not plentiful at that time there may not be any available there. The driver said he would walk to the service station, or somewhere, and try to get a can of petrol. But even if he managed to secure any, this would mean a considerable delay. Also it was a long, hard walk for the man on a hot day, and, even though he was at fault for not having ensured that there was enough petrol in the tank at the start of the journey, Swami was merciful. He said to the driver: ‘Bring a bucket from that house. There’s a well there.’ He pointed to a humble dwelling, less than a hundred metres away. The driver obeyed silently. Everyone remained silent in a kind of hushed expectancy as they stood waiting with Swami beside the car. Soon the driver returned with a large pail full of water. ‘Here’, Swami indicated, and the driver placed the pail on the ground at the Lord’s feet. All watched intently as the red-robed figure leaned over and with one finger stirred the surface of the water. ‘Put it in the petrol tank and be careful not to spill any’, He told the driver. Soon they were driving along again as the engine drank the miracle petrol happily; they reached the religious festival in good time. There is evidence, moreover, that the divine finger will stretch many thousands of miles to stir petrol into being. ‘I have a 1970 model, nine-seater station wagon which used to travel to any destination to spread Bhagavan Baba’s teachings. Bhagavan started providing petrol miraculously for the vehicle. This has happened eleven times in two years. Each time the miracle has been witnessed by hundreds of people. It happens like this: while the vehicle is standing stationary, the tank fills to overflowing, and a small quantity of petrol often pours out from the tank. Many people have, in fact, placed containers in position to collect the overflow. One Sunday morning, for instance, I was at a wedding party. I had left my vehicle parked on the roadside among other cars. It was about 11.30 in the morning when I was called urgently, and told to go to my station wagon as petrol was spilling from it. Although Sathya Sai Baba, in other cases, transmuted water into petrol, in Durban He seems to have multiplied the petrol that was already in the tank. The help and grace of the Lord comes at the place and manner that He Himself prescribes. Reference: “Sai Baba: Invitation to Glory” by Mr. Howard Murphet. Page: 53-55. Published by Macmillan India Ltd, 1982. In 1961, when Dr. Ramakrishna Rao was Governor of Uttar Pradesh, his wife and he were travelling by fast train from Bareilly to Nainital in the Himalayas. They were the only occupants of their first-class carriage and the train had no corridor by which anyone could enter or leave their compartment. At about 11 p.m. the Governor noticed some sparks coming from the electric fan. These rapidly increased in number until he and his wife grew quite alarmed, thinking the compartment would catch fire any minute. He looked for a cord or bell by which he could sound the alarm and stop the train, but could find none. It began to look as if the Governor and his lady might be burned to death before anyone learned of their plight. There was nothing they could do but pray – which they did, wholeheartedly. Then there was a knock on one of the outer doors. Very surprising this was, because the doors simply led to the open air through which the train was roaring at a good speed. Dr. Rao walked over and opened the door. In from the dark night stepped a man dressed in the khaki uniform of an electric wireman. Without a word this man went to work on the faulty fan from which the sparks were now flying “like chaff from a threshing floor”. About a quarter of an hour later the electrician said to them: “There’s no danger now. You can go to bed and sleep.” With this he sat down on the floor near the door. The Governor’s wife lay down on her bed and closed her eyes. But she kept half opening them to watch the man by the door because, as she told her husband later, she thought that anyone who risked his life to walk along the running board of a fast-moving train was probably a burglar who, when they were both asleep, would rob them. The Governor himself, with no such suspicions, was deeply engrossed in a book. Suddenly, he was startled to feel the touch of the workman’s hand and hear his voice asking quietly if the doctor would mind closing the carriage door after him, because he was now leaving. The little doctor was astonished that the electrician did not wait until the next station before leaving, but before he could say anything the khaki-clad figure had opened the door, and the night air was whistling in to the carriage. Dr. Ramakrishna Rao jumped up, and stepped to the open doorway in time to see the man stand a moment on the running board, then vanish into the darkness. It was all rather mystifying. How in the first place did he know that the fan was giving trouble? How did he get to the carriage and why did he choose to leave and make his way along the running board of this swaying, fast-moving express when he could have easily waited until the next stop? He either liked living dangerously or he was simply crazy, but in either case he must also be clairvoyant to know about the fault in the electric fan. With a mental shrug the little doctor lay down to sleep. About a month after this incident the Governor was again travelling, this time by the aeroplane that was kept for his official use. With him on this occasion, besides his wife and the pilot, were his A.D.C, his personal assistant, and the pilot’s wife. They were flying from Kanpur (the capital city of Uttar Pradesh) to Benares. Above Benares the Governor noticed that they seemed to be circling a very long time over the airfield before landing. He asked if there was anything amiss and was informed that the under-carriage was stuck; the wheels would not come down. Furthermore, they were now almost out of fuel. With Dr.Rao’s agreement, the pilot decided to attempt a crash-landing on the grass of the airfield. He signalled the ground to this effect. The fire-engines were brought out, and everything made ready for the attempt. All knew, of course, that it was a highly dangerous operation, and both the little doctor and his wife sent fervent prayers to their Gurudev, Sai Baba, for his much-needed protection. Perhaps the A.D.C. was praying too, for he also was a devotee of Sai Baba. Like the doctor, he wore on his hand a talisman, a ring that had been materialised by Baba. The pilot knew this and, as a last resort before trying a crash-landing, asked the A.D.C. to try his hand at working the lever for releasing the jammed undercarriage. The A.D.C. placed his hand on the lever and pressed as directed. The undercarriage came down without any difficulty. They were able to make a normal landing! The next day Mrs. Ramakrishna Rao, knowing that Baba was at Bangalore in the south, phoned Him from Benares in order to thank him for his grace and protection, which, she believed, had saved them from their perilous predicament in the plane. “What train incident, Swami?” she asked, for it had slipped from her mind. “Why, when the fan was almost on fire and you thought I was a thief,” Baba laughed. Dr. Ramakrishna Rao was sure the train story could not have reached Baba in the ordinary way because neither his wife nor he had talked to anyone about it. They had refrained from mentioning it on the following morning, not wanting to upset any of their staff; then the incident had faded into the background of their busy lives. Nothing superhuman that Sai Baba did could ever surprise the little doctor; he had through the years seen and experienced so much. Reference: “Sai Baba: Man of Miracles” by Mr. Howard Murphet. Page: 172-174 (paperback edition, 1972). Published by Macmilan India Ltd. It happened in 1975 to his eighty-nine year old mother. In the first week of May, her kidneys and ankles were very swollen. Medical experts in Calcutta had attended on her, but none of them could do much to help her. The swollen leg was nine inches wider than the other one, she could hardly eat and, for the last six weeks, she had existed on two teaspoons of barley water a day. Sri Singh was devoted to his mother who had brought him up singlehandedly as his father had died when he was only four years old. During this desolate period, Sri Singh heard that Sri Sathya Sai Baba was to be in Bombay and he wanted very much to go there and see Him. Two days before his intended departure, his mother went into a coma. He sent a telegram to Professor Gokak (a close devotee of Baba) expressing his regrets and his inability to travel to Bombay. That night, Sri Singh felt that worldly success, wealth and all its accoutrements were singularly useless, for they could give no succour to his sick and dying mother. 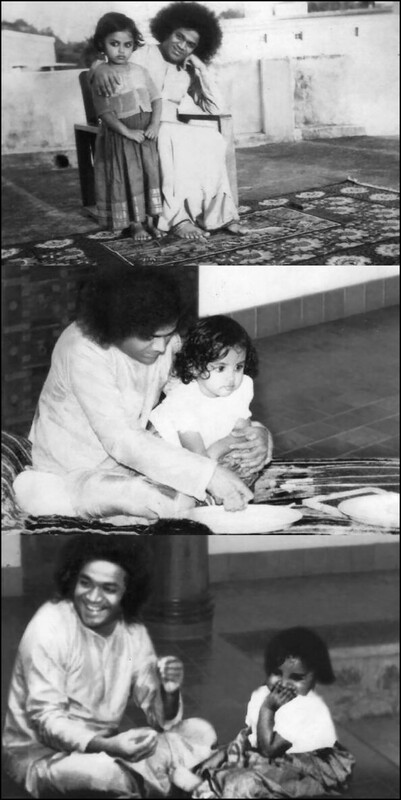 At midnight, he left his mother’s bedside and, before going to bed, prayed to Sri Sathya Sai Baba: “Swami, take her away if that is your will. But, please do not make her suffer. Give her perfect health and a good appetite till the very last and give her these for two or three more months. Then, take her to your lotus feet.” A tear escaped down his cheek. He cannot remember how he finally fell asleep. 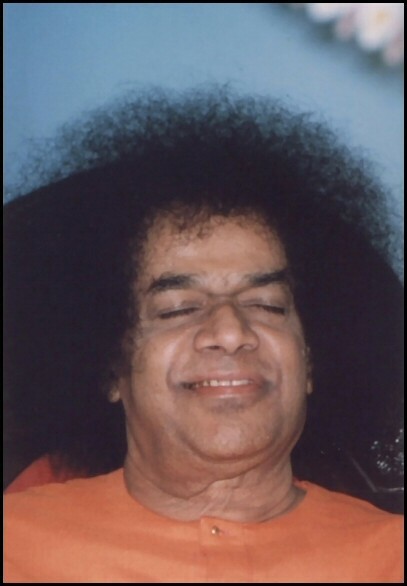 The old lady-smiled and said that Sri Sathya Sai Baba had come to her in the night with a rope in His hand (such as is used for swings) which He swung about playfully and had said, “eat well and get well. . .. I will take you, when the time comes.” Then He had vanished. She said that as soon as she woke up that morning, she felt absolutely well and quite hungry, so she asked the nurse to fetch some khichri. The mother’s condition improved so suddenly that the doctors were taken aback. There was no more need to keep her on a liquid diet. She ate well, very nourishing and even rich food. She could even relish all her favourite foods like makki roti (cornflour bread)! Although the doctors continued to be mystified, the family was very relleved and happy. Though the old lady had not realized the extent of Sri Sathya Sai Baba’s omnipresence and omniscience, Sri Singh attributed her remarkable recovery entirely to Him. “What about the second telegram from your heart?” He asked, touching Sri Singh’s chest. Sri Singh was overwhelmed. 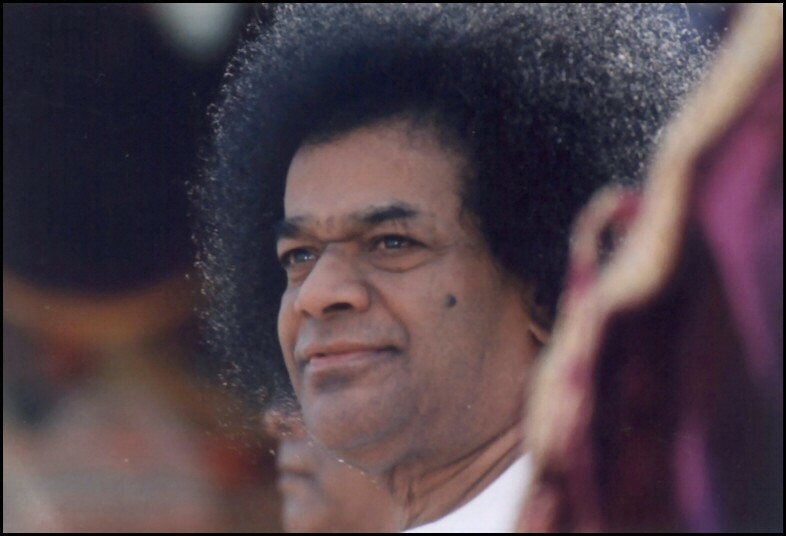 Yes, it was true, Sri Sathya Sai Baba had heard even that silent and tearful nocturnal prayer he had addressed to Him about his mother’s suffering! Reference: “Living Divinity” by Shakuntala Balu. Page: 231-232. Published by S. B. Publications, Bangalore, 1983. He proceeded to descend the rather precipitous incline to the river bank, as if He had been there often before and as if He had become aware of an engagement with the occupant of the cave. The Ganga takes a wide curve near the cave; nearby a small rivulet pours her offerings into the Ganges, and so the scenery is doubly attractive. The Vasishta Guha bears a hallowed name; it has been sanctified by the austerities performed therein by many great recluses and monks in the past. 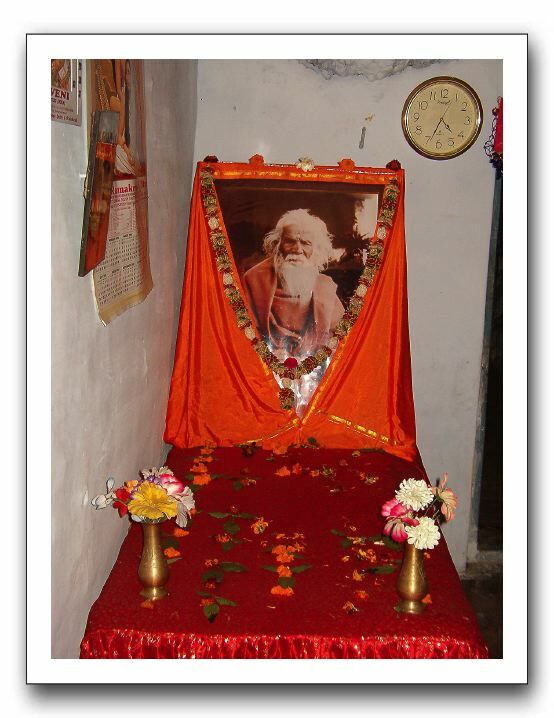 Swami Purushottamananda, a disciple of Swami Brahmananda of the Ramakrishna order, initiated into Sanyas by Mahapurushji, another direct disciple of Sri Ramakrishna Paramahamsa, had been living in the cave since 30 years and welcomed Baba as if he too was expecting Him! More than seventy years old, he had spent the major part of his life in asceticism of a most rigorous kind and in the study of scriptures. His face has the genuine glow of spiritual joy and the slightest mention of the glory of Godhead would send him into Samadhi (spiritual ecstasy). When he was still a young man, Swami Brahmananda had read his palm at Kanyakumari and predicted that he would enter a cave and go on meditating and meditating! Baba reminded him of the travails he endured when he first came into the cave, leopards and cobras and the three-day trek to Rishikesh and the desperate struggle for salt and matchboxes! He spoke of the succour that came to him through sheer Divine intervention! Baba repeated the visit the next evening in spite of a rumbling sky and the grumbling of some persons who accompanied Him. But, the rumbling ceased and the grumblers were humbled; by Baba’s Grace, the sky became clear and the rain held back. 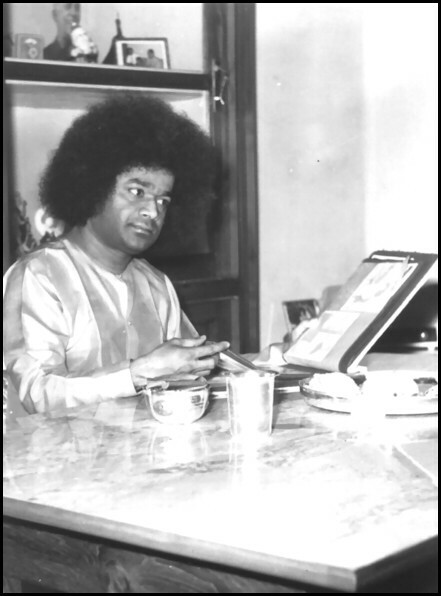 Baba himself sang a number of songs that day in the Vasishta Guha and when one of the Swamis attending on Swami Purushottamananda requested Him to sing a song of Thyagaraja, He very graciously asked him which of Thyagaraja’s Krithis (compositions) he most liked to hear. Swami Kalikananda said that he was longing to hear “Sri Raghuvara Sugunalaya”! Baba sang it, just to make him happy. No one had heard Him sing that song before and so it was an unexpected piece of good luck for which we thanked Swami Kalikananda. Hearing that Swami Kalikananda was suffering from chronic stomachache since many years, He took some ‘candy’ from nowhere and gave it to him, with instruction about diet etc. He also gave Purushottamananda, a Japamala of shining Sphatika beads, which ‘manifested’ itself in His Hand. But, more mysterious and significant was the Vision that He vouchsafed to Swami Purushottamananda that evening. After sending every one outside the Cave, Baba and the Sage went into the inner room. When pressed later to divulge the vision, Baba informed us that it was a Vision of Jyothir-Padmanabha! (Lord Vishnu as the Flame of Love-Wisdom) What supreme Karuna! (compassion) What immeasurable Good Fortune! Reference: “Sathyam Shivam Sundaram”, Vol-I, by Prof. N Kasturi. Page: 111-113. Published by Sri Sathya Sai Books and Publications Trust, Prasanthi Nilayam. Swami Satchidananda expressed a doubt whether the postal authorities would accept the message for transmission, for it spoke of revolvers, which come under the Arms Act. Others too supported him and there was some argument on the pros and cons. Baba wanted that it should go quickly to Bhopal and alternative words to bypass the rules were discussed. Swami Satchidananda suggested the word, ‘instrument,’ for ‘revolver’ and Baba agreed that it would convey the meaning intended, so far as the recipient was concerned. The wire went quick, and fast, to Bhopal, a thousand miles away! Every one was anxious to know what the nature of the averted tragedy was, but Baba parried all attempts to draw the information from Him. But, on the fourth day, a letter arrived from Bhopal, which was read out to all, a letter revealing that Baba was indeed the same Lord Vishnu who had saved Gajendra and Prahlada, and the same Lord Krishna who had come to the rescue of Draupadi! The author of the letter, whose wife was an ardent devotee of Bhagawan, had served in the Second World War and was now occupying a high position in Government Service. He was very much upset by the administrative rearrangements following the Reorganisation of States, for persons far junior in service were hoisted on top of him. He had no one nearby to assuage or comfort or even to listen to his tale of woe. When suddenly, there was a loud bang at the door! Baba had come! Not as Baba, of course, but as an old college-mate accompanied (!) by his wife and a Chaprasi (porter), with a trunk and a holdall, to make the picture complete in every detail! The officer ran into the bedroom, placed the revolver on the bed, threw a sheet over it, hurried back into the front hall, adjusted his lineaments to the new situation, and opened the door! There, lo and behold, were the three forms of Bhagawan, ready to play their part. The college chum was very boisterous and demonstrative; Baba had become by instantaneous materialisation a friend, who had just the qualities that would remove melancholy and who could give the officer, the tonic that would cure him of despair. He responded to the treatment and became quite normal, very soon. He even smiled and laughed at the jokes of his old friend, and as the conversation proceeded, all thoughts of suicide melted away. The lady too joined in the talk, but, when they discovered that the mistress of the house was away, the visitor put on an air of profound disappointment and said that he would prefer to stay with another friend. In spite of the appeals of the person whom he had saved, the friend departed forty-five minutes after he materialised, with the lady, the porter, the trunk and the holdall, thus drawing down the curtain on the excellent dramatic performance! After seeing them off, the officer hurried into the bedroom; he was stunned to find that the revolver was not there nor anywhere in the house! Who could have removed it? He locked his house and ran in hot haste to the address to which the college-mate said he would be going. He got his doubt confirmed; there was no one there; the three visitors had melted into thin air, with the trunk and the holdall! Swami Satchidananda said that this incident is much stranger than the Parakayapravesam extolled in Puranas. Parakayapravesam is entering into another body which is existing at that time, but, this is Kayasrishti, the creation, at the very moment of willing, of three bodies and making the bodies act their roles of existing individuals, correct to the minutest detail of voice and inflection, gait and gesture, idiom and idiosyncrasy, and the recitation of incidents and anecdotes relating to decades past when they were both students of the same college! This, concluded Swami Satchidananda, is possible only for an Avatar. Reference: “Sathyam Shivam Sundaram”, Vol-I, by Prof. N Kasturi. Page: 102-105. Published by Sri Sathya Sai Books and Publications Trust, Prasanthi Nilayam.